Casting a short welded pipe sample. 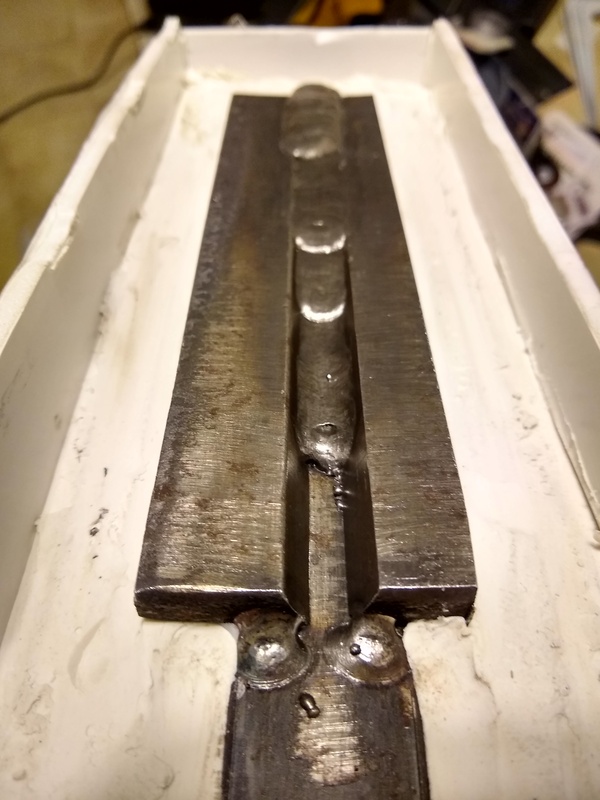 I have started casting some weld replicas for training purposes as shown in the link to the original and copy. 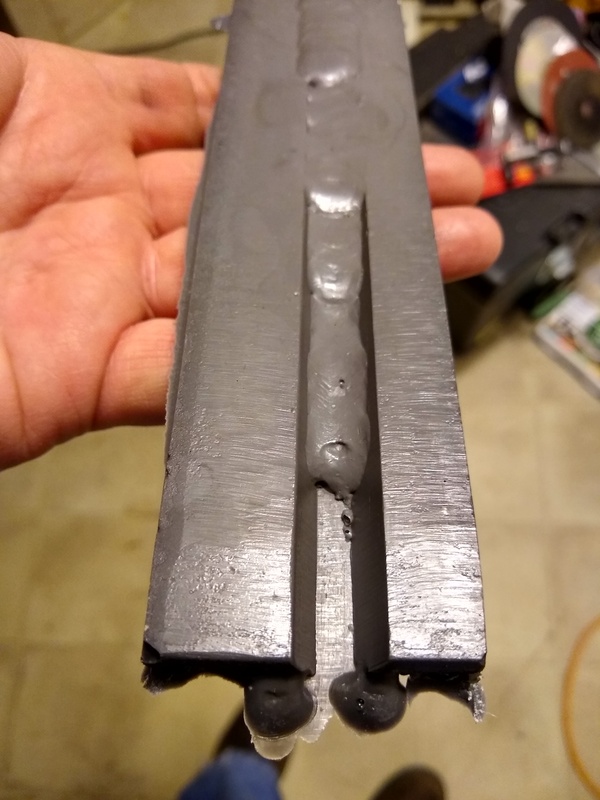 I would like to create using some welded pipes and have struggled with how to make a mold that would be removable from the casting. The weld in the middle of the pipe will stick up about 1/8" on the OD and ID. My though is to make a jig as shown below with a tapered center core to support the ID mold. The OD support would be a pc of PVC pipe that I would probably split. 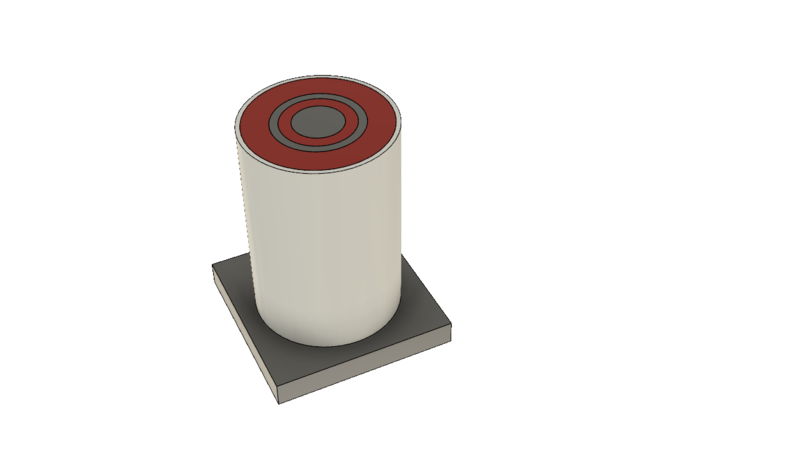 The inner gray item is the tapered rod, the next gray is the casting, the red is mold. Any ideas for a better way to do this? Any information is appreciated and I have enjoyed getting into this. 1)Is the "inner Gray item" and "next gray is the casting" welded to the base...assuming the base is metal as well. Reason I ask is that even with the weight of a solid metal rod ,there is the possibility of it being moved off center. Don't forget and seal the PVC pipe to the base or you will have unwanted seepage. I'm going to use your own words so that ,hopefully, nothing gets misinterpreted in the process. 2) Are you trying to achieve a 2 part mold...the 2 Red pieces...Reason I ask is I see 2 separate pieces "inner Gray item" and "next gray is the casting" being cast. If indeed that is the case, then you will need to make 2 separate molds...one for the "inner Gray item" and one for the "next gray is the casting" since the Red inner mold would not stay uniform if left unsupported. Since you already have the "next gray is the casting" established with what is shown, you will need to do the same with the "inner Gray item". Use a piece of PVC pipe where the "next gray is the casting" is located that you can split as you described in your post. You will then have two molds...the "inner Gray item" and the "next gray is the casting". Let me know if I misinterpreted anything...I take it your an instructor...I got my welding certificate back in the early 80's...there are still things I remember to this day that the instructor drilled into my head. 2) After the molds are made, the rod will support/shape the inside mold and the PVC pipe on the outside will shape the outside silicone mold if needed. The outside PVC may not be needed and I though about just making it thicker to maintain its shape. I am trying to avoid any seam lines that could occur. Thanks for the input and my explaining may leave a few things to the imagination!